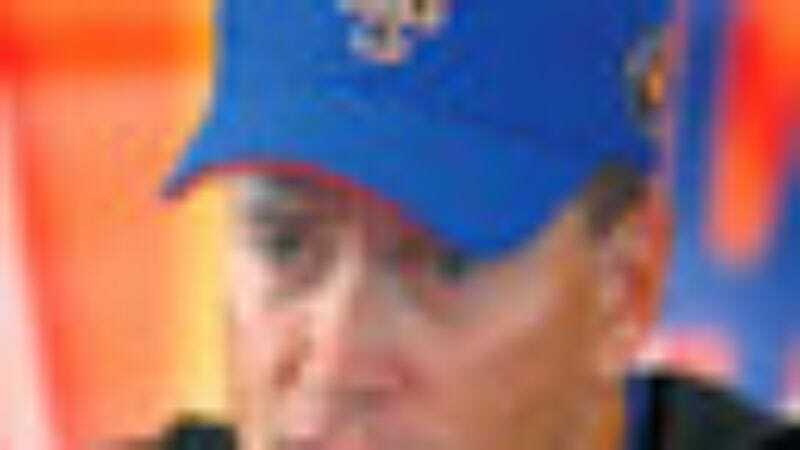 CHICAGO—Moments after the last out in his historic 300th pitching win, Mets ace Tom Glavine silenced a crowd of well-wishers by announcing in a cold, emotionless voice that he would be the last ever to win 300 games. "Make no mistake, after me, there will be no one else to win this many games as a pitcher. Ever," said Glavine in tones that froze the blood of all who heard it. "Randy Johnson will not recover from his injuries. [Mike] Mussina will not play, and perhaps not live, long enough. And C.C. Sabathia, I beg you—you are so young, with so much to live for. Do not dance with the devil by attempting to win 300 games now that Glavine has done so." Upon hearing Glavine's chilling declaration, top pitchers Andy Pettite, Barry Zito, and Tim Hudson announced they would retire at the end of the season.